The West Midlands gets its fair share of rainy days. Whether you’re looking for a completely indoor attraction or somewhere with areas to escape inside, this guide will give you inspiration even when the weather doesn’t. I’ve divided it up into areas, so if you’re looking for a particular region, please click on the links below to take you to the relevant section. Family friendly activities for rainy days in Herefordshire are really varied. Completely indoor attractions include soft play and a butterfly farm. There are also a few indoor-outdoor days out for rainy days when you want to be outside between showers. Sometimes a cafe goes the extra mile to make families feel welcome and Blue Elephant Play Cafe is one of those places. It has a play floor designed for children aged 0 to 6 years. Older children are welcome, although the website suggests that they can do homework at a table or sit in a quiet corner with a book or board game while younger siblings play. I’m not sure how much older children would appreciate this. Do check the opening times on the Blue Elephant website as they’re not open every day. Eastnor Castle is always a great day out, with events on throughout the year. There is a big focus on being outdoors with an adventure playground, lakeside walks and exciting themed activities for children. However, I’ve included it here because on a rainy day, you can look around inside the castle itself and even take dogs in with you. The castle is only open on particular days, so do check their website before you go. 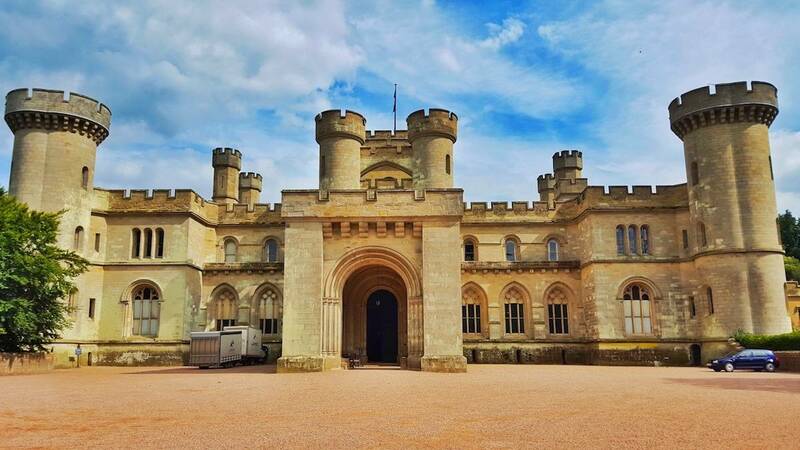 You can also read my review of a day out at Eastnor Castle. Children and adults alike can learn the art of pottery in the grounds of the beautiful Eastnor Castle Estate. Eastnor Pottery cater for parties, run workshops and have family drop-in sessions. Booking is advisable for all pottery experiences including drop-in sessions. This can be done via their website, which is really slow so do give it a few minutes to load. This is a pottery studio where you can choose a piece of pottery to paint. They have a baby area and a play area so when children have finished painting, they can still enjoy Glazydayz. Ideal for parents who would like to paint something as well. Adults are welcome to paint pottery as well as children and they can also do hand and foot prints for babies. Information and opening times are on the Glazydayz website. Children and adults alike enjoy the relaxation of decorating pottery. As with most ceramic painting venues, you can choose what you’d like to paint. Once your masterpiece is complete, you’ll need to return in seven to ten days time to collect it after glazing. This may mean it’s not ideal if you’re visiting for a short time from outside of the area. Opening times and details are on their website. They advise phoning in advance to book a spot if you’re visiting during busy periods. 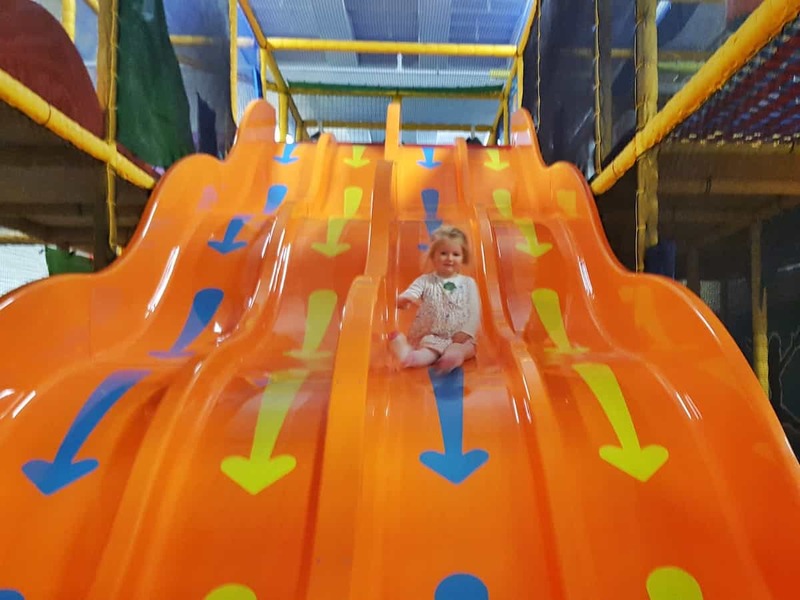 With a huge soft play area and separate party rooms in the centre of Hereford, Play planet is a great option for a rainy day. It’s open 9am to 5pm every day of the week, but various events do take place there so it’s worth checking it’s open to the public before visiting. Something really strange has happened to their website at the moment, I’m not sure if it’s been hacked or bought out but it now seems to be selling shoes. Instead, head over to their Facebook page for details. The butterfly zoo is a large butterfly house that holds butterflies from all over the world. It’s heated by renewable energy and the owners support butterfly conservation projects. A trip here can be combined with a visit to a maze and crazy golf, with discounts available for combination tickets. Full details on their website. With its beautiful countryside and numerous outdoor attractions, it would be easy to think that Shropshire doesn’t have much to offer visitors in the rain. Fortunately, there are several indoor attractions to keep us busy when the weather is against us. There are several museums that come under the Ironbridge Gorge Museums umbrella. These include Blists Hill Victorian Town, Enginuity, the Tar Tunnel, the China Museum and the Museum of the Gorge. Each is great for a visit to learn about local history. They all have different events on during the year, particularly during school holidays. A full list of the museums and what’s on at each can be found on the Ironbridge Gorge Museums website. Some are completely indoors and ideal for a rainy day. Jungleland boasts four activities under one roof. Its soft play has three separate areas and entry fees include a ride on the Jungleland express train. With no age limits, adults are free to play in soft play too. Children from aged five and upwards can enjoy laser tag in Lazerland and there’s also crazy golf and bowling to complete the day’s activities. Full details on all four adventures can be found on the Jungleland website. This large soft-play centre has an onsite cafe with decent coffee and homemade cakes. The large play frame is ideal for older children, while tiny tots have their own dedicated area. Party packages are available for small parties, or you can hire the centre exclusively for a larger group. Check the Monkey Mania website for details and opening times. Aeroplane lovers will be delighted with the 70 aircraft displayed here. There are other exhibits too including WWI paintings, a model room and a Cold War exhibition. You’ll also find a 4D Red Arrows flight simulator and a Fun and Flight interactive gallery. Annual events include the esteemed RAF Cosford airshow. There are also special activities for families during school holidays. Admission is free although parking charges apply. Full details are available on the RAF Cosford website. Volunteers run Telford Steam Railway with services on selected dates only. As well as the steam engines, a steam tram runs on a narrow gauge track. A miniature railway runs once a month and the Furnaces tearoom, gift shop and model railway entertain visitors when they’re not on the trains. Head to the Telford Steam Railway website for opening dates and details. 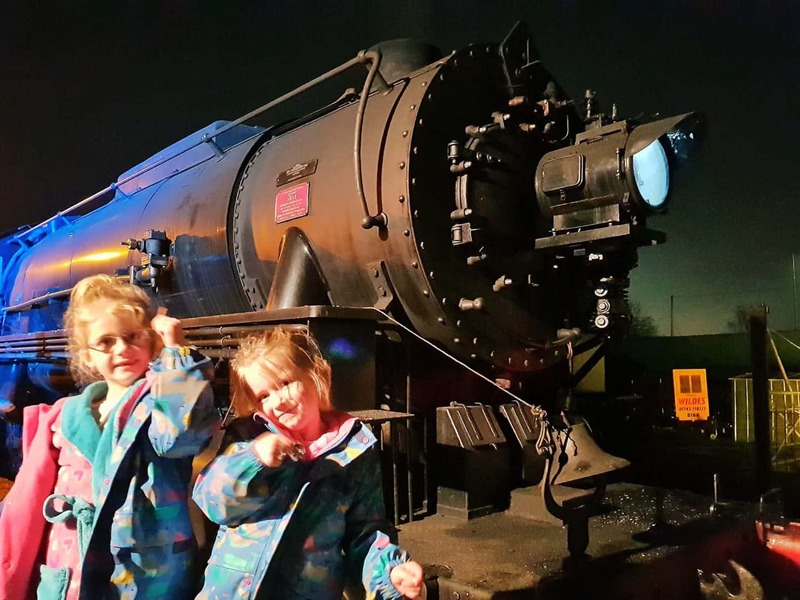 You can also read my review of their incredible Polar Express experience which runs during November and December. Staffordshire’s indoor attractions are some of the most exciting in the West Midlands. Despite being from the opposite side of the region, we have visited many of them because they’re well worth the journey. Days out in the Midlands for families don’t get much more exciting than Alton Towers. This is the largest theme park in the area and home to CBeebies Land, which is great for young children. There are also numerous rides that thrill-seeking teens and adults will love. On a rainy day, the theme park is often quieter so it’s a good time to visit if you can put up with getting a little wet. Alternatively, the Alton Towers water park is also a great day out. If you decide to do both theme park and water park, you’ll need two days. So, it’s worth checking out their themed accommodation. Full details are on their website. 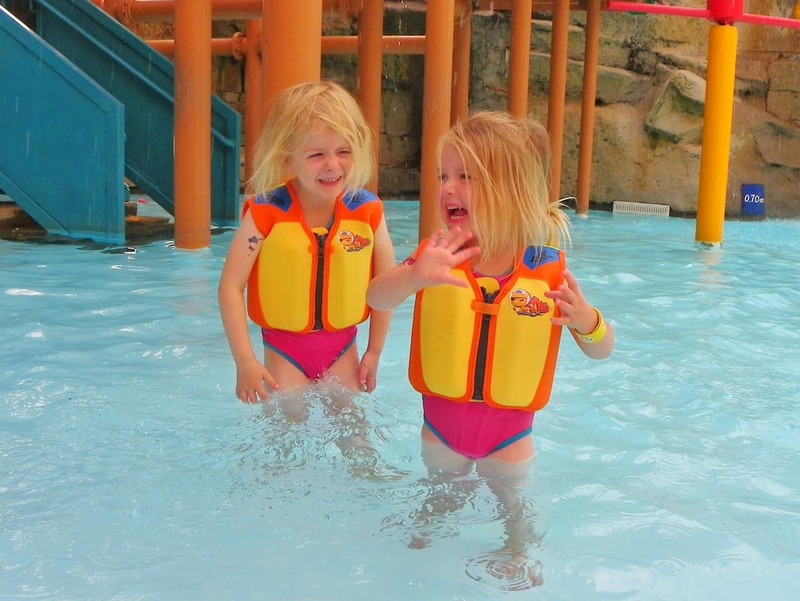 You can read my review of a visit to Alton Towers theme park, water park and cBeebies hotel. Both indoor and outdoor activities are on offer at the Big Play Barn. Some outdoor activities are under cover, including the giant jumping pillow. Indoors, there’s a climbing area, walkway, a variety of slides and a play house. An indoor bouncy castle, toddler areas and a cafe make sure the whole family are entertained. Full details and opening hours are on the Play Barn website. This is a lovely day out for young children with both indoor and outdoor play areas. If you spot a break in the rain, head outside to enjoy the farm park and tractor safari. There is also a JCB dig zone, crazy golf, an assault course, a bouncy slide and jumping pillows. Indoors, there is a soft play area with various different slides, along with an area for younger children and a café. They often have special events on during school holidays with extra shows and attractions indoors, so it’s fine for a rainy day. Head to their website for full details and read my National Forest Adventure Farm review. The Snowdome is one of my favourite West Midlands attractions because I learnt to snowboard there and spent many happy hours zooming down the slopes. But as well as teaching skiing and snowboarding, the Snowdome have other activities that are perfect for families. Children will love sledging, tobogganing and tubing and you can even just enjoy playing in the snow. There is also an ice rink, pool, fitness studio and spa. Full information is available on the Snowdome website. Waterworld is an enormous leisure swimming pool that is widely accepted to be one of the best in the country. There are assorted slides from enormous flumes to toddler slides and everything in between. You can enjoy the waves, ride the space bowl or the rafts, float on the rapids or play in the interactive jungle house. This is suitable for children of all ages and there are special parent and toddler sessions during off-peak times. Full details are on the Waterworld website. 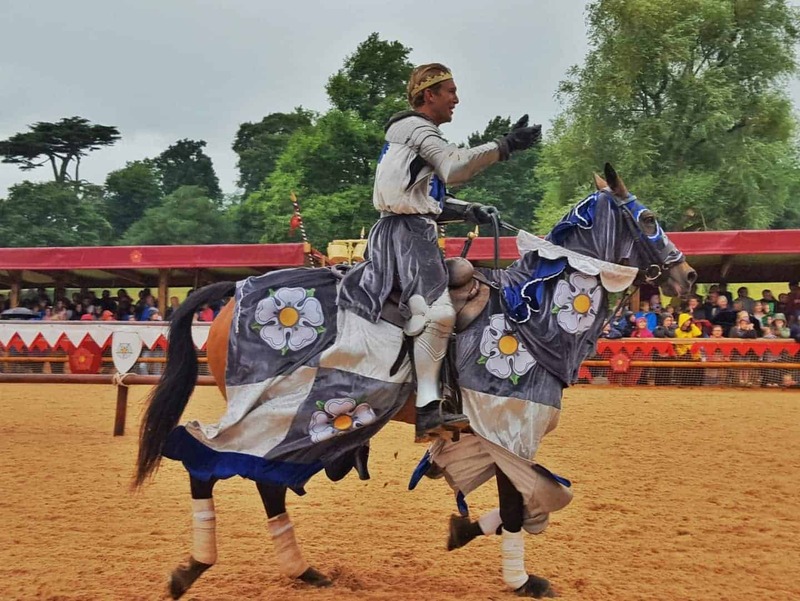 From the famous Warwick Castle and Royal Shakespeare Company to lesser known attractions, there’s plenty to do on a rainy day in Warwickshire. Some of these activities are entirely indoors, whilst others offer both indoor and outdoor fun. The world’s largest collection of British cars can be found in the British Motor Museum. Over 300 cars are on the site and visitors can learn about their history, where they were built and the stories behind them. Interactive activities bring the cars to life for children visiting, making it a great day out for the whole family. Opening hours and further information is on the Motor Museum website. This unique museum displays interactive pieces of mechanical art with a particular focus on automata and kinetic art. They have sculptures from world renowned artists and each one demonstrates both movement and beauty. The museum arranges special activities for children during school holidays. More information is available on their website. 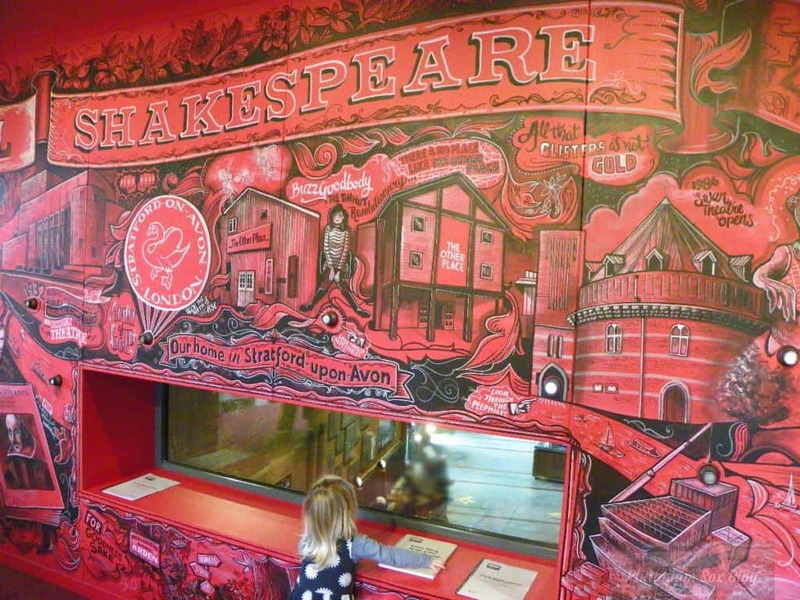 The RSC is an ideal day out for both adults and families with children. The Play’s The Thing is an interactive exhibition. It is one of many activities available for children, as well as their regular theatre productions. For more information, check out the RSC website and read my review of The Play’s The Thing. 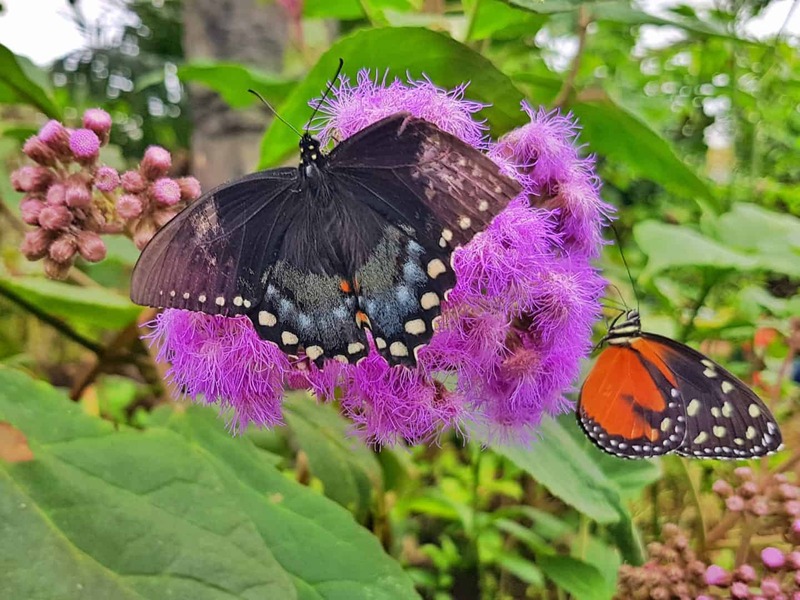 Visiting a butterfly farm is a lovely way to explore nature, even on a rainy day since the attraction is indoors. As well as a butterfly flight area based on a tropical rainforest, there is a discovery zone to learn about butterfly life cycles. You can also see one of the largest insect collections in Britain at the Minibeast Metropolis. Full details and opening times are on their website. Since becoming part of the Merlin group, this has become so much more than just a castle. You can explore the castle and its grounds including the scary dungeon with actors and special effects. There is a Horrible Histories maze and stunning views from the towers over the Capability Brown landscaped gardens. There are regular shows and events on here, so do check out their website to find out what’s on. 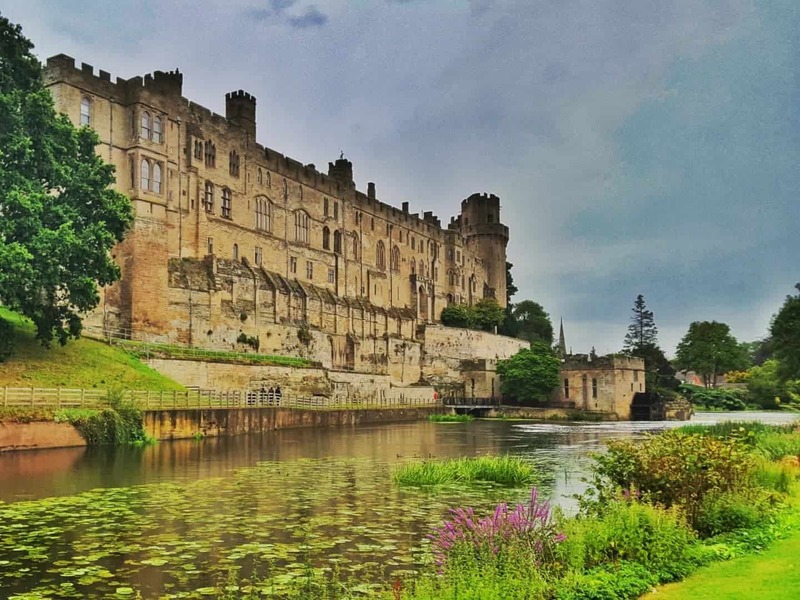 Whist there is a lot to do outdoors at Warwick Castle, you can explore the castle itself indoors and spend pretty much a full day there without going out in the rain. For more information, head to the Warwick Castle website. You can also read my review of a day out at Warwick Castle and a stay in the Knight’s Lodge. Rather confusingly, there are two areas known as the West Midlands. The first is the large region that is the focus of this guide. Within the West Midlands region lies the West Midlands Metropolitan County, made up of Birmingham and surrounding areas. Adults and children from 8 years old can take on one of the most challenging indoor karting tracks in the UK. Spectators can watch from a raised gallery and if karting isn’t your thing, you could try laser tag instead. The venue also hosts parties and corporate events. Head to their website for full details and to book. A hidden gem accessible on foot from the city centre, Birmingham Back to Backs are a set of houses frozen in time. Run by the National Trust, these houses can only be viewed on a guided tour, which visitors are advised to book in advance. Homes and characters from the 1840s to the 1970s are ready to greet guests. Call in to the 1930s sweet shop and browse the themed National Trust gift shop. There is no cafe at the property but they advise visiting a nearby pub for refreshments. Full information is available on the back to backs website. Standing majestically in the heart of Birmingham, you can’t miss the Birmingham Museum and Art Gallery. The building itself is architecturally stunning and inside is a fascinating museum whose exhibits include the Staffordshire Hoard, numerous significant paintings and temporary exhibitions that will fascinate visitors. There’s even a mini museum aimed at children under five years old. Full details are available on the Museum and Art Gallery website. 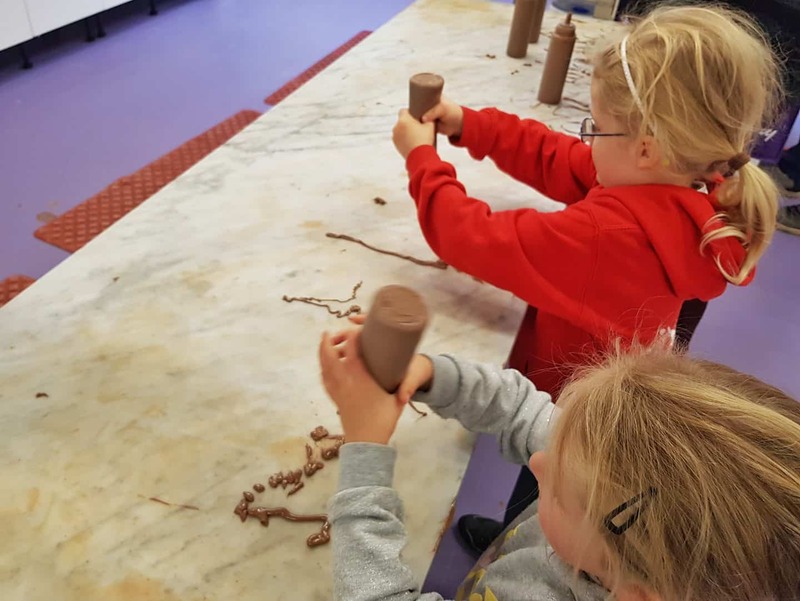 This attraction near Birmingham in the heart of the West Midlands originated as a self-tour attraction to learn about the making of chocolate. These days, there are loads of other activities on offer too. Including a 4D cinema, adventure play area and a mini theatre. There is a small area outside with an adventure playground, but the majority of the attraction is indoors so it’s ideal for a rainy day. For more information, head to their website and read my review of a family day out at Cadbury World. Inflata Nation is a huge room full of inflatables. Their website describes it as an “inflatable theme park”. I would say it was more comparable with a trampoline park. It’s done in the same style, whereby the whole room is a massive inflatable. So, even when you’re walking between the activities you’re on an inflatable platform. You can pay to bounce for either an hour or two hours so this isn’t a full day out. We found that an hour was plenty for us. More information is available on the Inflata Nation website or you can read my Inflata Nation review. A relatively new addition to Birmingham, the Legoland Discovery Centre is designed with children aged 3 to 10 in mind. It boasts two rides, a 4D cinema, a LEGO building and testing zone and a LEGO cafe. There’s even a MINILAND – a tiny LEGO Birmingham built from over 1.5 million LEGO bricks and incorporating all its famous landmarks. The city’s first LEGO store is there too, hosting creative workshops throughout the day to improve your LEGO model building skills. Full details and opening times are on their website and they advise booking in advance during peak times including school holidays. 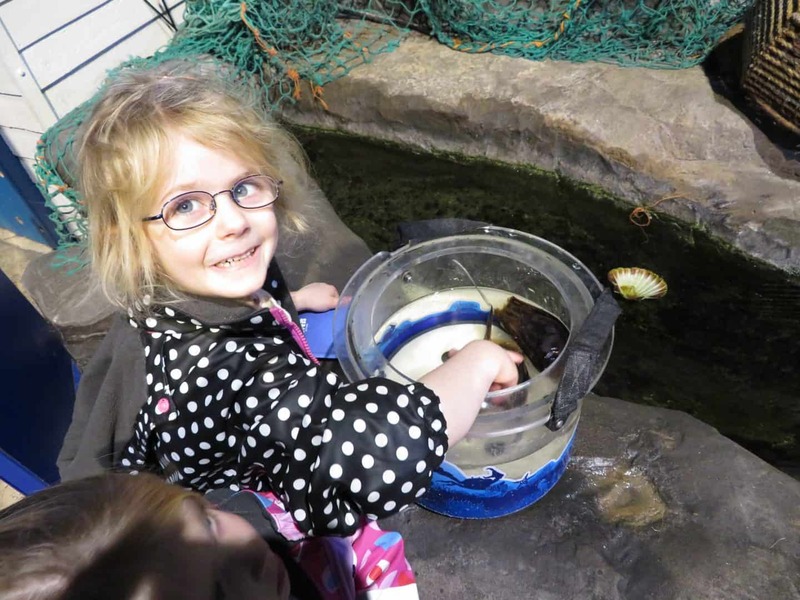 We love the National Sea Life Centre, it is often our go-to West Midlands attraction for rainy days. This enormous aquarium is home to fish, sharks, an octopus, penguins, a sea turtle and otters as well as numerous other species. There are always events going on and my children find something different that they love each time they visit. Full details are on their website and you can find out why we’re so fond of it from my National Sea Life Centre review. Planet Ice is a national chain of ice rinks with locations in both Coventry and Solihull. Ice skating is an ideal wet-weather activity and the rinks are open 7 days a week. They host birthday parties, give skating lessons and you can even learn to play ice hockey. This is in addition to public skating, ice discos and special events. Check out their website for full details on both locations. Rock Up climbing centre in Birmingham uses automatic belay equipment to ensure that everyone can enjoy their walls. As well as the climbing walls themselves, the leap of faith challenges brave climbers to jump from a platform and grab a bag or trapeze bar. A soft play area keeps little ones entertained while the rest of the family climb. Full details are on the Rock Up website. This museum in the heart of the West Midlands is the perfect way to bring science to life for children. The popular West Midlands family museum offers everything from steam engines to robots. There is a planetarium, science garden and numerous hands-on exhibits and historical collections. Full information is available on the Thinktank website. From historical properties to soft play and pottery, there’s plenty on offer around Worcestershire to keep us entertained on a rainy day. Children can let off steam, whereas adults might prefer to explore some of the historical locations. This small, friendly soft play with parking is just outside Worcester city centre. It’s not a full day out, but we often spend a couple of hours there. The cafe serves quite basic meals as well as hot and cold drinks and snacks. What I like about Cheeky Monkeys is that you can see most of the play frame from the cafe, so it’s easy to keep an eye on children who are in there. They have free WiFi, a bouncy castle and tiny tots area as well as the main play frame. Opening times and details of events and party hire are on the Cheeky Monkeys website. This friendly little pottery painting studio welcomes painters of all ages, from tiny babies making handprints to adults creating a masterpiece. Choose from their selection of pottery pieces and enjoy a hot or cold drink or a snack while you paint. Pottery creations will be fired in the kiln for you to collect a week later. Details and opening times are on their website. An unassuming building on an industrial park is the location for ice skating, laser quest and four escape rooms. Birthday parties are also available. You will need to check opening times on their website as the ice rink is only open at certain times of the day. Skating aids and bob skates are available for young children, skating aids should be booked in advance. 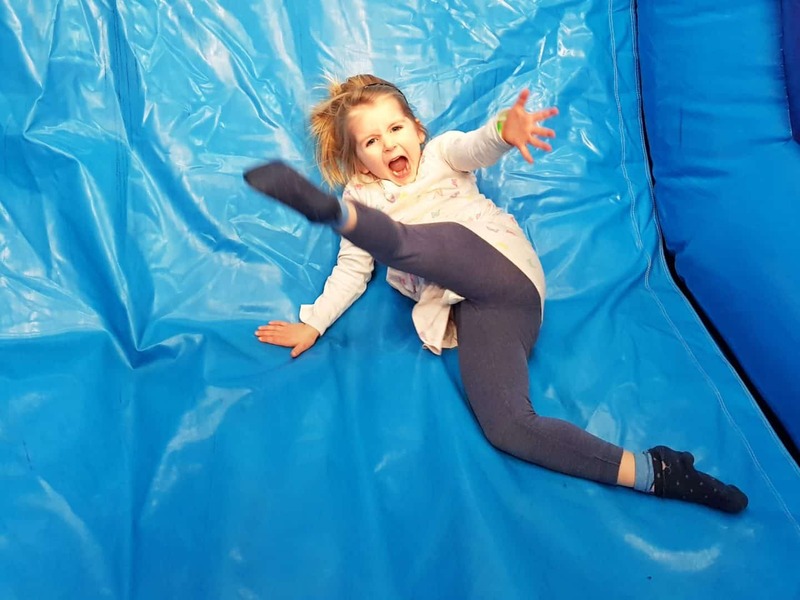 Combining a large soft play area with a trampoline park, Imagination Street is a great place for children to let off some steam on a rainy day. Choose between the two areas or combine the two and spend the whole day there. Check out their after school deals and special events and activities on particular dates. Full details on the Imagination Street website. This isn’t the largest indoor shopping centre, but it is one of the best around when it comes to a day out with children. As well as shops and restaurants, Kingfisher Shopping Centre hosts the 360 Play area for children. A large soft play frame sits alongside dogems, a craft zone, dressing up areas and a carousel ride. There are several car parks next to the shopping centre but to pay for parking, you will need to either use change or find the one machine that accepts a card, which is a mammoth task. Full details of the shopping centre are on their website and you can also find information about the play area on the 360 play website. Read my review of the Kingfisher shopping centre to find out what we loved about it and why we had an absolute nightmare with the car park. Based in St Johns, Little Acorns is quite a large soft play with a cafe and tiny tots area as well as the large play frame. They’re open from 9.30am to 5pm daily with last entries at 3.30pm. They advise checking before going in the afternoons as they may close early if it’s quiet. Full details are on their website. 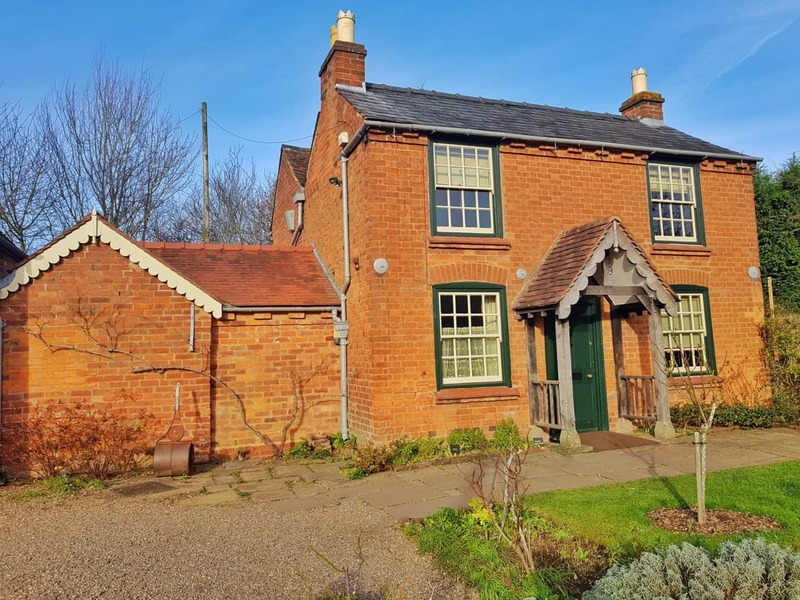 The cottage in Broadheath where Elgar was born was purchased by his daughter after his death. It has since become a museum in his memory. This is a surprisingly dog friendly and child friendly day out. The museum itself is full of fascinating exhibits and children can let off steam outside in the musical garden if the rain eases during your visit. Dogs are allowed everywhere except for the café and inside the cottage itself. Full details on their website and you can read my review of a dog friendly family day out at the Firs. The Severn Valley Railway runs predominantly steam trains from Kidderminster to Bridgenorth. The trains run between their dedicated stations, where you can get off to stretch your legs, visit a local pub and learn more about the railway and its engines. They also run special events throughout the year. Trains don’t run every day, so do check their website before you go. Worcester’s Civil War story is brought to life at the Commandery. Learn about weapons and gain an insight into life as a soldier 300 miles from home. Practice your battle tactics, become a Commandery explorer or just enjoy a refreshment in the cafe. This museum is interactive enough to keep children entertained but will fascinate adults as well. The building itself was famously the Royalist Headquarters during the deciding battle of the English Civil War, the battle of Worcester. Full details and opening times are on the Commandery website. 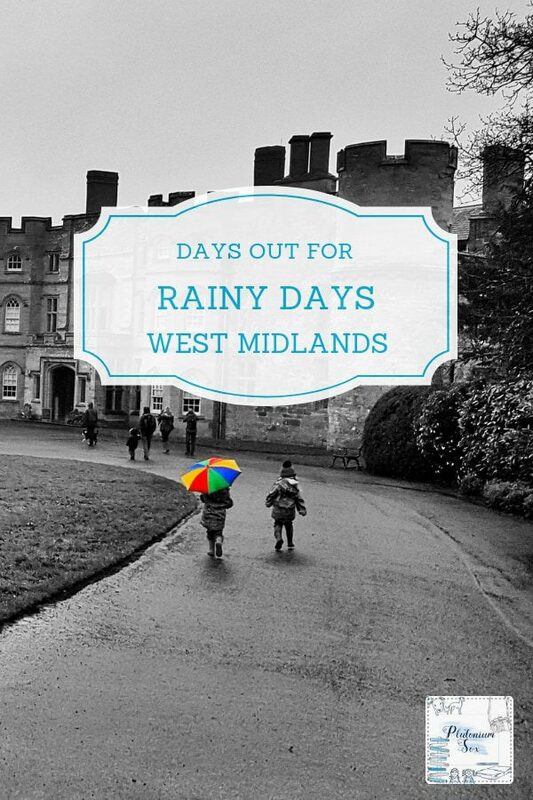 For more ideas of days out whatever the weather, see my West Midlands days out post. You may also find my what’s on West Midlands Easter holidays post useful. Please note, I have worked with some of these days out on reviews in the past and have linked to those reviews within this guide. However, none of the businesses featured have asked to be included in this guide.